The 48 questions Kate McCann has never answered. Kate and Gerry McCann refused to take part in the new Netflix documentary revisiting the disappearance of their daughter Madeleine in 2007 from a Portuguese holiday villa. They’ve been fervently trying to find her for the past 12 years, with their persistence in part, making her the most famous missing child in modern history. Some have argued, that the McCanns would surely welcome any resurgence in interest in their daughter’s case, given she is still missing. But their alleged involvement in her disappearance is something that’s been heavily scrutinised over the years. A list of questions that Kate McCann refused to answer during police questions has reemerged, published first in The Independent. She used her right to silence in 2007, to stay tight-lipped. Kate was subjected to 11 hours of gruelling interrogation, after she and her husband were initially named as suspects in the case. The leading Portuguese detective of the case, Goncalo Amaral, reveals in the documentary he continues to doubt the McCann’s statements. 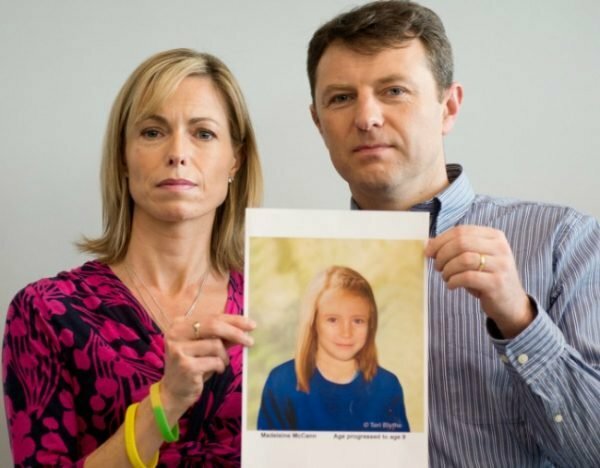 Kate and Gerry McCann with a photo of what Maddie might look like age 15. Image: Getty. Amaral and the McCanns are locked in a legal battle over his claims that Maddie died in the family&apos;s apartment and that her abduction was faked. 16. What does &apos;we let her down&apos; mean?